There's two popular causes for this problem. Right click on the database and click on properties. Click on the files group and make sure the owner property is set to a valid login. If you're lazy you can always set it to sa. 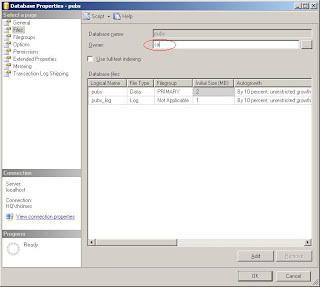 Right click on the database and click on properties. 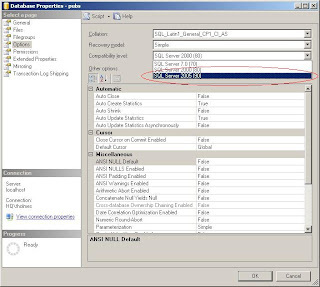 Under the options group set the Compatibility Level to SQL Server 2005 (90). Well that's it folks. Hope it saves you a minute or two.